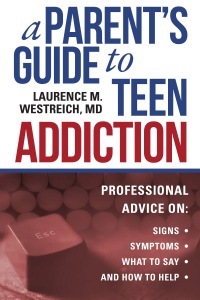 •	Provides information on what to do about the substance abuse, including how to find good one-on-one addiction therapy, how to encourage a teen to enter an outpatient program or inpatient facility, and how to line up aftercare treatment . Best of all, he includes “tough talk” dialogues that parents can tailor to their specific situation with their teen. This practical, hopeful, and reassuring book helps parents put their teen on the healthy and life-affirming road to recovery. As parents it is our responsibility to help our children navigate the world around them. Our guidance will hopefully help them make good decisions for the future. Hopefully we set down a foundation that shows them that there is a better way than addiction. However, with all that said I am sure that parents of addicted kids will say that they did that! They did their best. They spoke openly and candidly to their kids about choices and their kids still got caught up in it. Every parent should have this book in their bookcase. Just the other day I spoke to a teen about not drugs but vaping which in my eyes is a gateway to doing other things. This book breaks things down and talks real talk. It even provides dialog for conversations you should have with your kids. They call it TOUGH TALK DIALOG. While I hope to never have to need this book as a resource I am glad I have it and will recommend it to anyone who tells me their are worried about their kids.